In this post I’ll show you how to display Google Form submissions in Google Data Studio. Below is a Google Form. Please fill it in! Once you’ve submitted your responses they are sent to a Google Sheet. Below is the Data Studio report which is connected to that Google Sheet. To connect our Google Form to Google Data Studio is relatively straightforward. 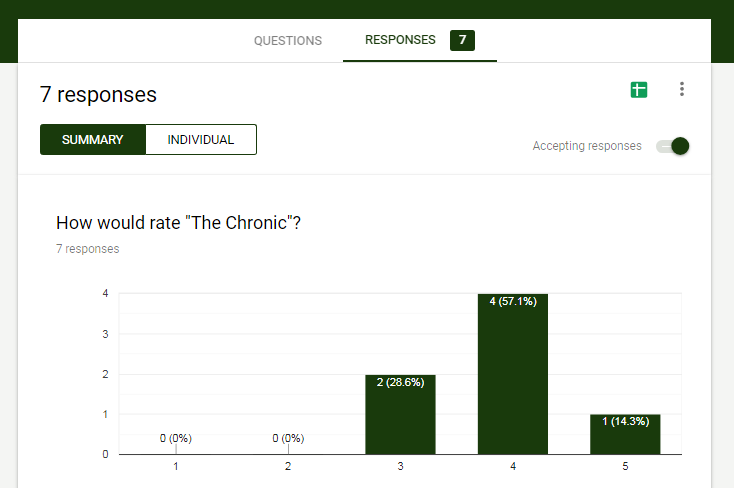 In Google Forms, go to the Response tab (as shown below). Then click to view responses in Google Sheets. 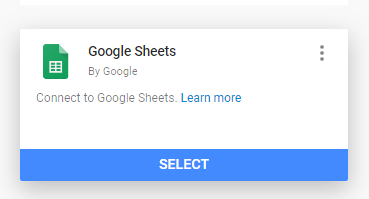 It will then give you the option of creating a new sheet, or using an existing one. We can create a new spreadsheet, and the responses will be added to it, as shown below. To display these responses in Google Data Studio, we need to create a new Data Studio report. Once we have done that we need to add the sheet as a data source. We now have our responses in the sheet as a data source. And then we can create a report showing the results however we want. So that’s a very brief example of how you can display Google Form responses in Google Data Studio.